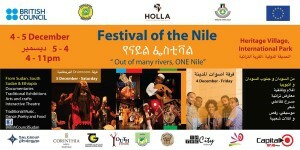 in Sudan asked Drumroots to be a part of The Festival of the Nile. West Africa has been so successful in popularising it's traditional music around the world and our friend from the British Council, Mustafa, wanted to use this success as an inspiring example to encourage the youth of Sudan to engage with their cultural roots. Although we knew that we would be performing and leading workshops to celebrate traditional African music, little did we know what incredible experiences were in store for us during the week ahead. Drumroots are excited to announce that our brand new stock of professional, African djembe drums are now available to buy. 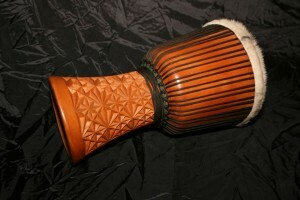 It’s been a while since we began the process of ordering our new range of djembes, but they were well worth the wait. Each drum has been skilfully crafted by our colleagues in Conakry, Guinea, using a range of African hard woods (Lenke, Hare and Djalla) and only the best quality skins, rings and rope. 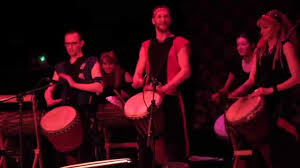 Posted in African Drumming Workshops Posted on July 15, 2015 by Jamie Riley | Leave a comment » It’s not often you would hear the sound of more than sixty African drums being played together in a school in Cheadle Hulme, Manchester. However, once a year, the Drumroots team bring their authentic instruments to St James' Catholic High School to give the pupils a taste of African culture. Posted in Team building Posted on July 15, 2015 by Jamie Riley | Leave a comment » What’s the best way to give your staff members a truly memorable and uplifting experience? Ask any of the employees at Birkenhead Sixth Form College, who were brought together from different departments for a one hour Drumroots team building workshop. Returning for the second year in a row the staff knew exactly what to expect. Some of the participants were so keen, they were at the doors itching to get their hands on a drum before we had even set up! Posted in Previous Performances Posted on July 6, 2015 by Jamie Riley | Leave a comment » It’s that time of year again! Beat-Herder 2015 is nearly upon us and our African drumming performance troupe ‘Tanante’ will be performing as ever in the Stumble Funk tent, this year at 6.30pm on the Sunday evening. 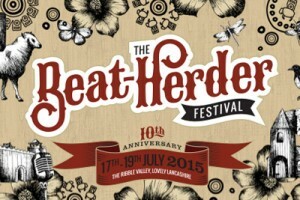 Our friends, the Stumble Funk crew have put together an awesome line up to contribute to this fantastic festival. This year be sure not to miss a performance by our favourite traditional Senegalese/Afrobeat group The Kajamor Family on the Saturday afternoon. Posted in African Drumming Workshops, Team building, Uncategorized Posted on April 23, 2015 by Jamie Riley | Leave a comment » If you're organising a corporate team building event and you're trying to think of ways to keep your delegates on their toes, then we would definitely recommend taking a leaf out of Macmillan Cancer Support's book! We had great fun being accomplices in their secret plan to surprise their staff yesterday, at the conference centre of the Radisson Blu hotel in Manchester. Posted in Festivals, Previous Performances Posted on April 23, 2015 by Andy Garvey | Leave a comment » It's less than two weeks until The New Generations tour and the excitement amongst our performance troupe is really starting to build up for this awesome weekend of music and dance! We've been working hard perfecting material that we learnt during our recent trip to West Africa and happy to see faces old and new in the group coming together to create an amazing performance.